Juliana Hatfield performing at the Hot Stove Cool Music concert at the Paradise Saturday night. Joe Scarborough was jamming out at the show. On the eve of the Patriots playing the Super Bowl, one might think that baseball would be the farthest thing from Boston’s mind. But Boston is a town with many sports in its heart, and Hot Stove Cool Music — Peter Gammons’s and Paul and Theo Epstein’s annual baseball/rock ’n’ roll mashup concert/benefit — is too entrenched an affair to be overwhelmed by football fever reaching critical mass. 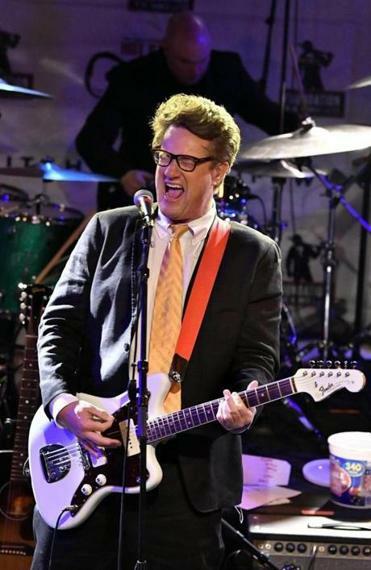 Next came the vanity bands, led by MSNBC morning-show host Joe Scarborough’s namesake group, whose soul- and frat-rock stylings came off like Huey Lewis And The Actual, Literal News. (Co-host and fiancee Mika Brzezinski came out to kiss him good luck and roll her eyes, not in that order.) Scarborough’s set was goofy in its self-seriousness, as was former Red Sox pitcher and Eddie Vedder acolyte Bronson Arroyo, just happy to get high on singing songs he loves. 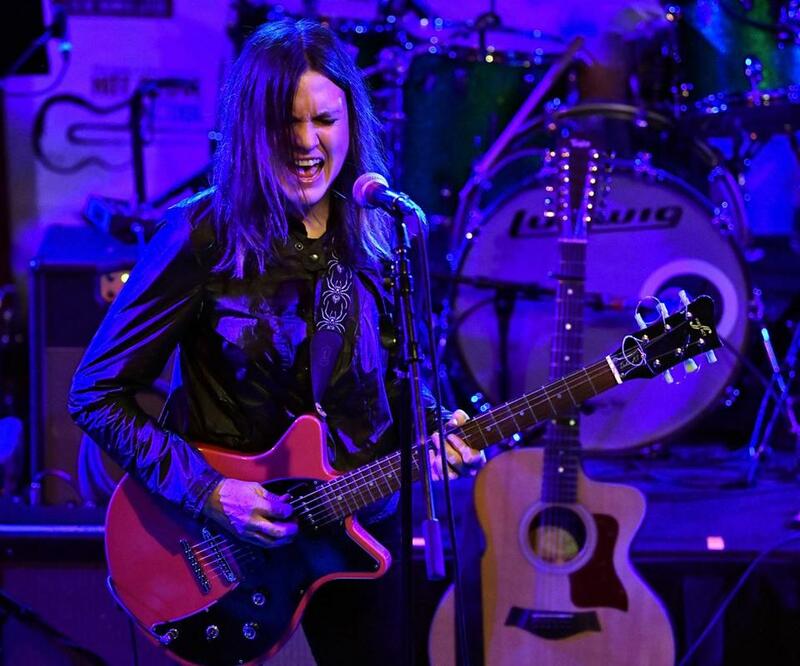 As the only other act to perform her original material, Juliana Hatfield seemed like she’d also fall into the same trap as Scarborough. But she embraced the spirit of the night by the end with four Olivia Newton-John songs, faithful but rocked-up. The night saw plenty of tributes to recently deceased heroes, from legends like Prince and David Bowie to more personal ones like the Cranberries’ Dolores O’Riordan (a “Dreams” sung by Kay Hanley, one ’90s alt-rock star saluting another) and power-popper Tommy Keene, whose “Back to Zero Now” rang out with power and grace in the hands of Dean Falcone. And the final act was handed over to an all-hands-on-deck Tom Petty set culminating in Arroyo leading a love-drenched “Free Fallin’” more than five hours after Hot Stove began. After all, baseball doesn’t operate by a clock. Marc Hirsh can be reached at officialmarc@gmail.com.